Attention all Maryland Colleges: Funding Opportunity!! 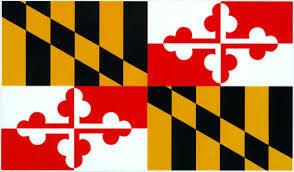 Grant opportunity to start inclusive college programs in Maryland! This RFQ (request for quote) is to establish inclusive higher education programs for students with intellectual disability. Issued by the Maryland Department of Health, Developmental Disabilities Administration, this RFQ is for accredited institutes of higher education in the state of Maryland to establish a brand new, fully inclusive program with any/all of the following features: inclusive academics, competitive employment opportunities, access to inclusive internships or work-based learning experiences, access to community or campus housing options, and full participation in campus activities. Colleges with an existing segregated program may apply to transform the segregated program into a fully inclusive one. Details about required program components, proposed budgets, and project design can be found in the application. Any questions should be directed to James Sult, the Procurement Officer for this project: jamesd.sult@maryland.gov or 410-767-5631. The deadline for applications is December 18, 2018 by 3:00pm EST.